As such, I thought it’d be interesting to list some minority cartoon characters (out of the ones I’ve already covered) who have mustaches. This wasn’t as easy as it looked—a lot more characters have beards or goatees than plain mustaches. The star of Jeff Krell‘s comic “Jayson” has a light mustache. Samurai, a member of the Super Friends, has a light mustache. 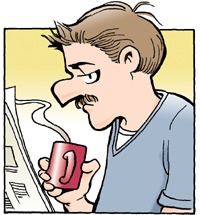 Mark Slackmeyer of “Doonesbury” fame usually has a mustache. 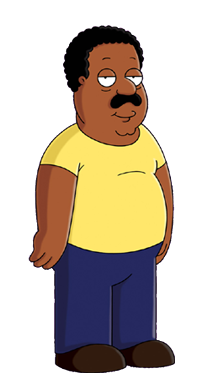 Cleveland Brown of “Family Guy” and “The Cleveland Show” is an African-American character with a mustache, but no beard or goatee. 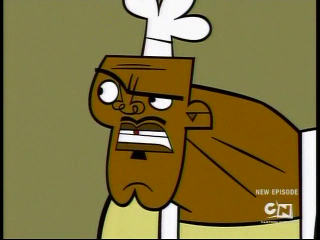 Chef Hatchet of the various “Total Drama Island” shows has a light mustache. The other male Black characters on the show usually have either a goatee (DJ) or no facial hair at all (Cameron, Lightning). 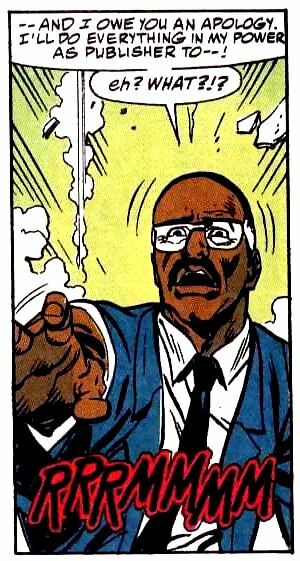 Franklin Stern, the owner of the “Daily Planet” in 90s-era Superman comics, has a mustache. 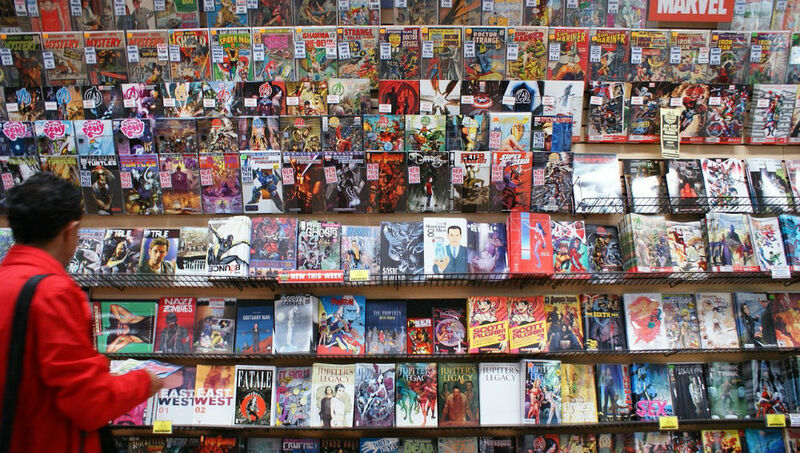 Morgan Edge, the “Planet””s owner in other decades, is usually clean-shaven (pre-New 52 version) or has a beard (New 52 version). 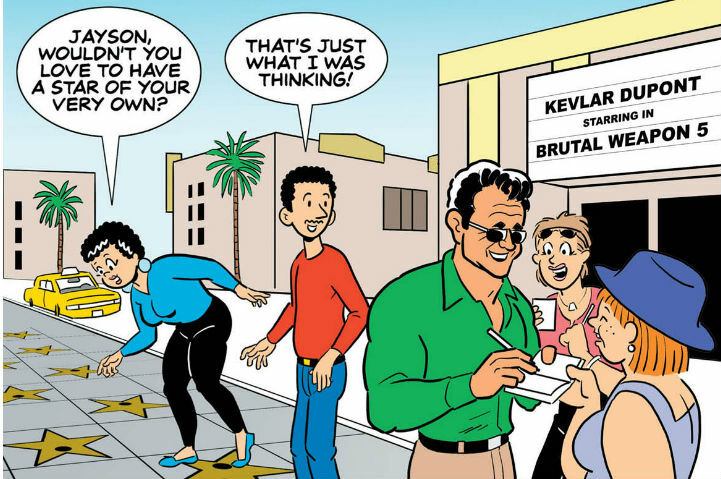 The lead characters in Dave Brousseau‘s strip “A Couple of Guys” are clean-shaven. 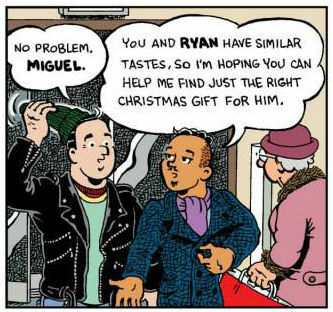 Out of the supporting cast, Eric and Joey’s friend Miguel has a small mustache. Another character with a mustache is Omar, the African-American bartender at a gay bar the characters frequent. For more information on Movember, see the website of the Movember Foundation.